The Cosmopueblita was born as the Fair of Rural Life with a positive view. 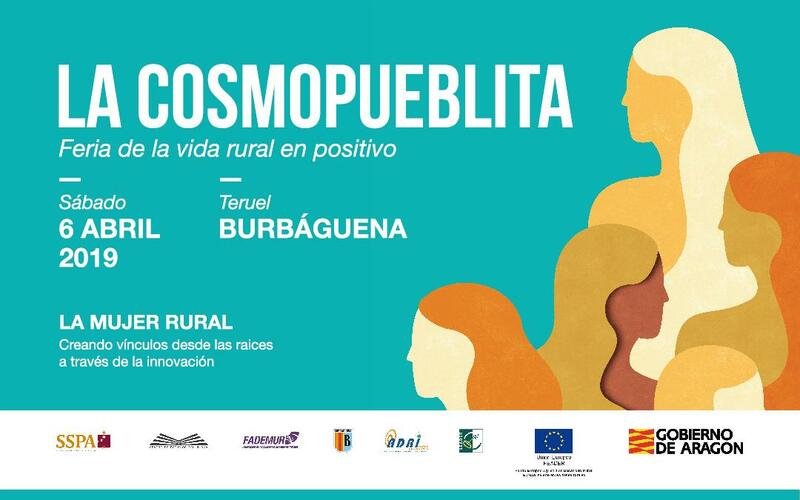 In its first edition will be dedicated to Rural Women, will be held on Saturday April 6 in the town of Burbágena, province of Teruel, and is open to the participation of all those who want to contribute. The SSPA Network through its partner ADRI Jiloca-Gallocanta organizes this event of debate, exhibition, activities from children and also music. All activities will have a positive message about the quality of life of the villages, showing the cooperation between rural inhabitants and how innovation and creativity are allies when it comes to creating projects. This event will discuss experiences carried out by young people, businesswomen, promoters of cultural activities, media professionals, rural policies involved, artists … showing how women have created links with the territory from their roots through innovation, and how his new role in this society is an essential contribution to change the rural environment, providing creativity and a new impulse. It will also talk about how to improve in rural development, what is necessary, what fails and above all, what is good, what is positive, what roots us and what invites us to stay. The Cosmopueblita expects the participation of people interested in improving the rural environment, convinced that rural life provides quality of life because the days have more hours, and also of those who are looking for an opportunity in a village.